Do you have an engaging About Us page? Does it entice your readers and generate interest amongst your customers and prospective customers? Does it accurately portray your brand? If not, read on. Did you know the About Us page is the second most clicked page on a website, after the Home page? In this digital age, your customers want to know, like and trust you before they will commit to doing business with you. 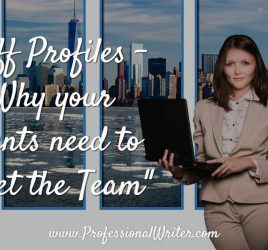 People do business with people they connect with, so your website needs to help make a connection with your readers. It’s a little bit like dating. First-time readers come to your site to be wooed. Even if they’ve already met you, they want to find out more about you before they commit. You really want to make a good impression, because this relationship could be going places! And what do readers find when they click on your About Us page? Is it an engaging story that helps them to know, like and trust you – or is it a dry company history that has them clicking away in seconds out of sheer boredom? Or worse still, is your About Us page blank? People do business with people they know, like & trust. It’s important to make a good first impression, establish a connection, build the relationship and back it up with social proof, then you can ask for their business. Your website needs to be an accurate portrayal of your brand and what you stand for. Your About Us page is the ideal place to express this. Even though it’s your About Us page, the story actually needs to be about your customer and what you do for them – it has to be customer-focused. Basically, they want to know how you solve their problem. Some companies break their page into headings like About Us/Me and About You, which outlines who their customers are and what outcomes they’ve achieved for those customers. Make it interesting and easy to read. Try writing down 25 random things about your company – this can be done while brainstorming with your staff or associates – the pick out the most relevant of those items and include them in your story. PLEASE only briefly mention your Company History. 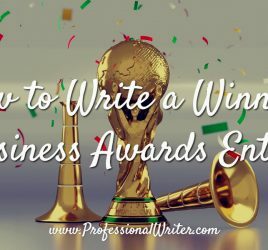 We know it’s important to explain how long you’ve been in business, but nobody really wants to know all the nitty-gritty, they’re just looking for proof that you’ll produce the goods. “It’s not what you say, it’s how you say it!” We all know that tone is important when we’re speaking with someone face-to-face or on the phone, but what about non-verbal tone? With the rapid increase in social media, much of what’s written online now has a more conversational tone. 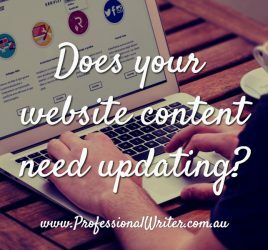 Many websites speak to the reader as though the business owner is telling their story face-to-face, which is wonderful. However, you do also need to be careful to sound professional so that you’re taken seriously when it comes to doing business. Think about your brand. Is your organisation fun-loving, friendly and just a little bit cheeky? Go with an informal, friendly tone. Do you operate in the corporate sector, doing business with government organisations and large corporations? Your tone may need to be more business-like and formal, but you can still show your personality and not be too stuffy, while also being professional. Ready to start writing your engaging About Us page? • Who is our ideal customer? • What does our ideal customer want from us? • What outcomes do we achieve for our customers? • How do we deliver our product or service to customers? • What experience do we have that’s relevant to our customers? • What is our point of difference and what does it mean to our customers? • How do we help customers? Solve their problem? Address their pain points? • Do we change/improve our customers’ lives? How? Did you notice that every one of the above questions is focused on the customer? That’s what I mean about your About Us page being customer-focused. If you can write down the answers to most of the above questions, the information can be used to demonstrate what you do and the outcomes you achieve, which the reader will then want for themselves! Your readers are looking for something that will engage them and help form a connection with you. Remember to be authentic, be human and be relatable in your writing. Your readers will love you for it! 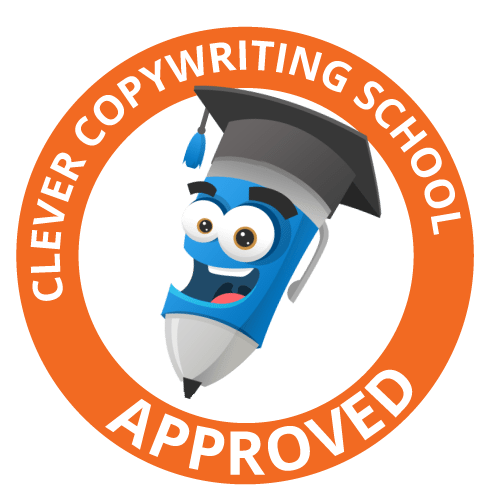 If you have any queries about writing an engaging About Us page, or you’d like some professional help with writing your page, please check out my website copywriting services and feel free to contact me via email and I’ll be happy to answer your questions.